Being a half Hakka (dad is Hakka and mom is Kadazan, hence I am a sino-kadazan), I always enjoy Hakka food especially the one that my parents cooked at home. I must say it's kinda hard to find a good Hakka restaurant nowadays. 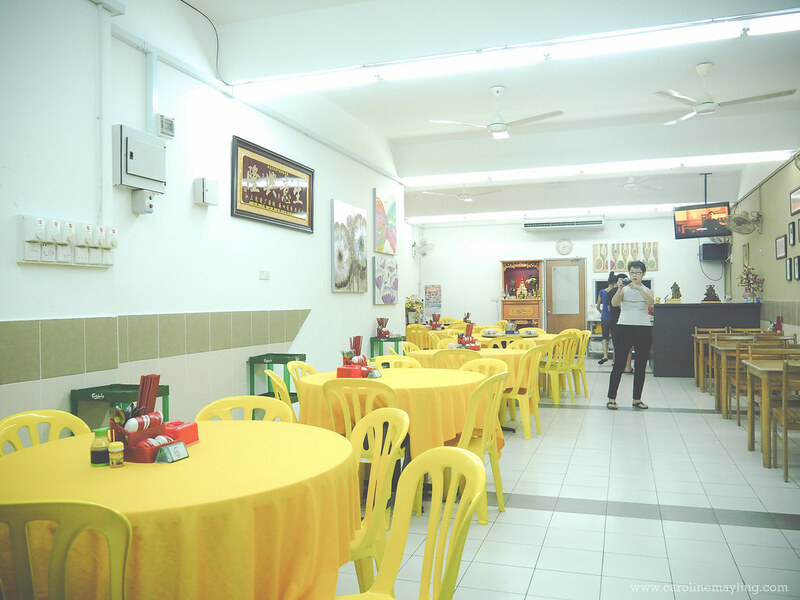 Thankfully, my boss actually introduced me to this Good Hakka restaurant that serves pretty authentic Hakka food! 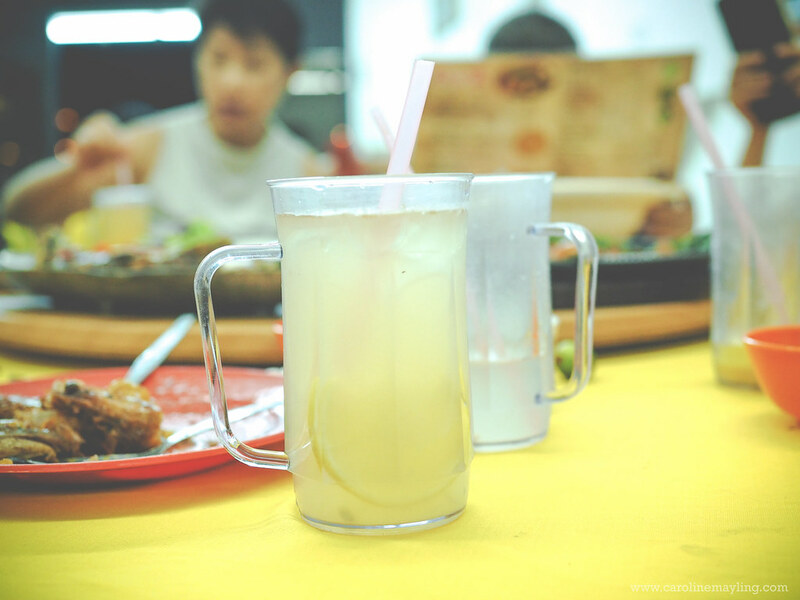 Before we look into all the yummy-licious Hakka dishes, let's talk about this drink - Homemade Ice Lemon Tea. This is not like the ordinary ice lemon tea out there. At here, they uses Pu Er Tea as the base for this ice lemon tea! It's refreshing and tastes much better than the usual one. The Red Wine Chicken is fragrant and flavorful. 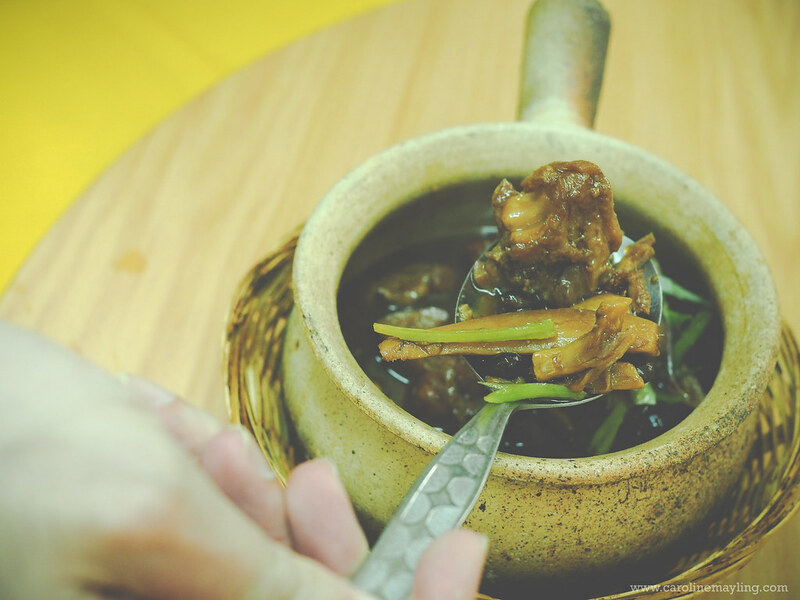 You'll get to enjoy the tender chicken meat along with the aromatic soup too! 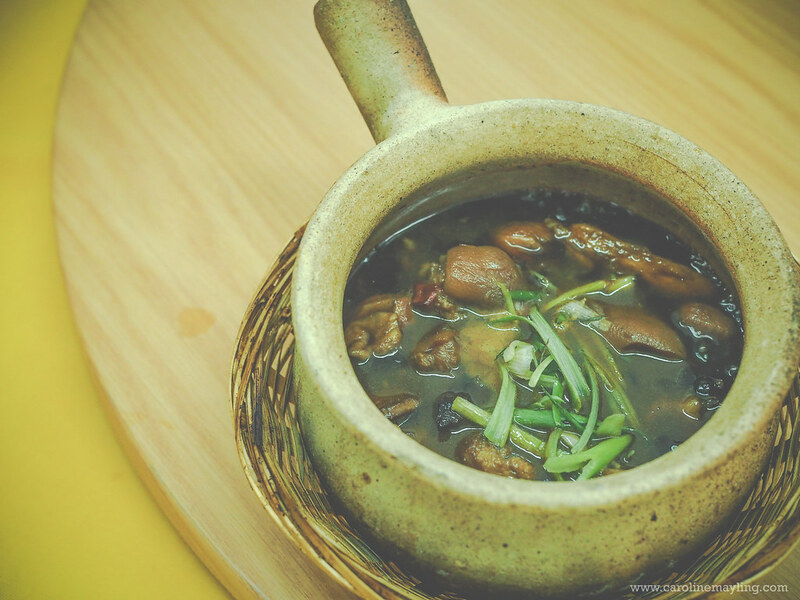 Some said that this bowl of red wine chicken kind of lacking the taste of wine while some of us think that it has quite a strong taste of wine, so I guess it's really individual preferences on this one. I personally enjoyed it very much and will definitely go back to enjoy this one! Here's another favorite dish of mine - Pork Vinegar Trotter! This actually somehow reminds me of my mom's home cooked version. I missed this a lot and it's really hard to find a good one nowadays. It has quite a strong pungent taste, with a hint of sweetness, it's delicious. Not to mention the super tender pork meat with some layer of fats, love it! I can have few bowls of rice with just this one dish alone! 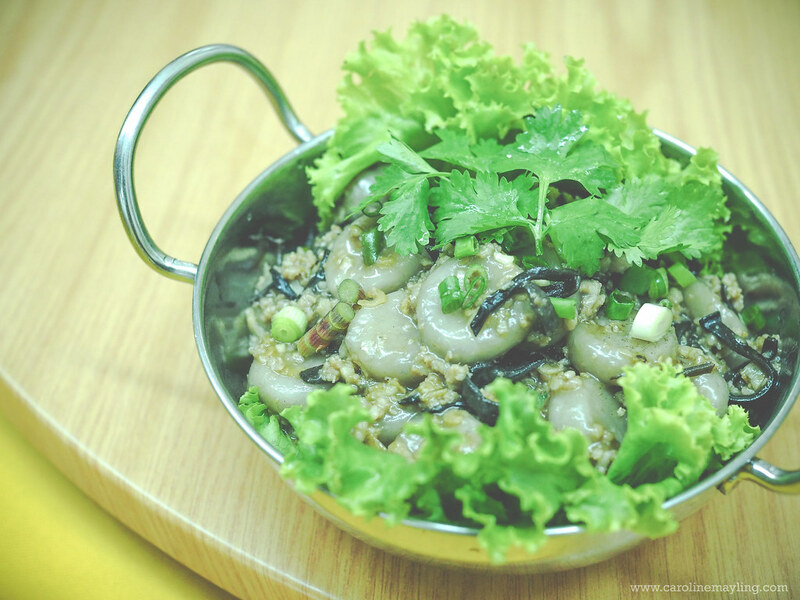 One of the main signature Hakka dish - Yam Abacus. In case you're wondering, they make their own yam abacus from scratch, with the ratio of 4:1 yam and flour, it's chewy the way I like it. 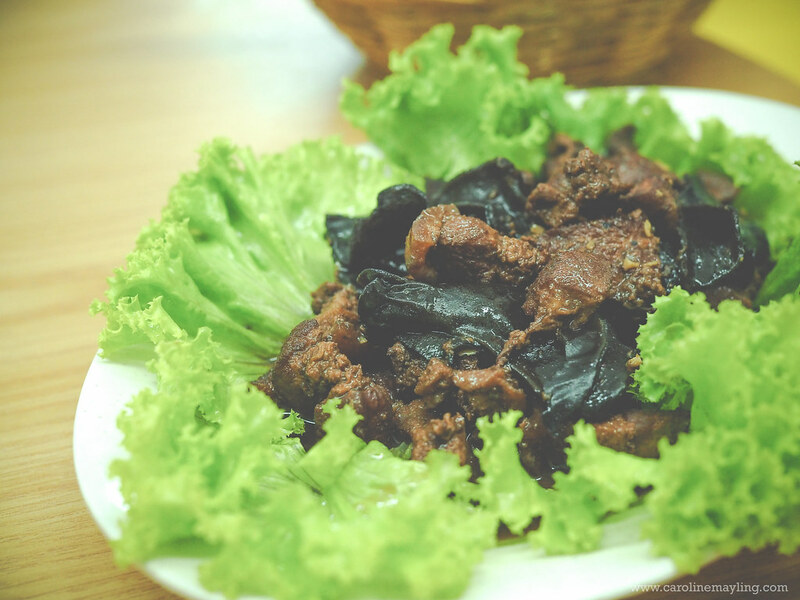 It was stir fried with dried shrimp, minced pork, and black fungus. A very simple yet tasty dish! 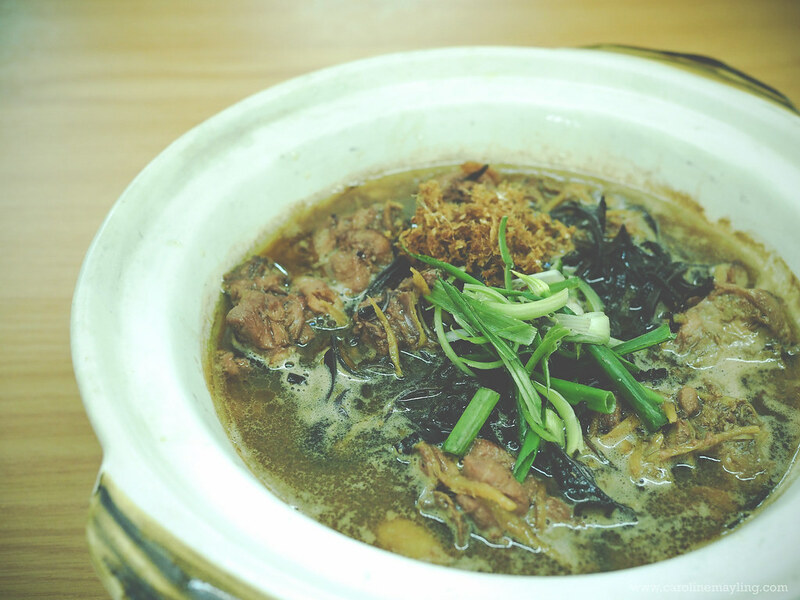 Here's another dish with pretty strong pungent flavor - Hakka Braised Pork - also one of our favorite Hakka signature dishes. This totally reminds me of my grandmother as she used to cooks this often last time too. I enjoyed this dish and I bet you're going to love this too. Now we have the two dishes that perfect for spicy food lovers out there! Both Rendang Pork and Sizzling Sambal Petai Sotong were spicy, fragrant and flavorful. 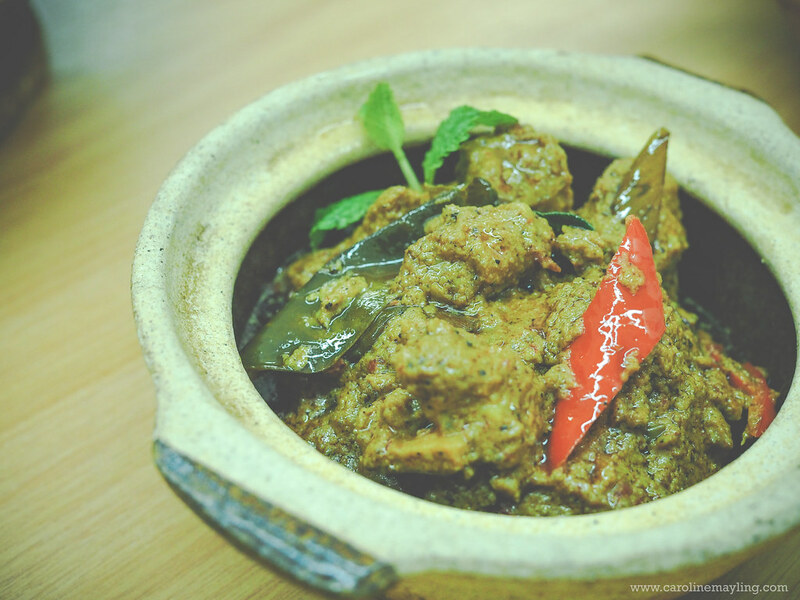 The rendang pork were cooked to perfection with the tender meat and aromatic gravy. 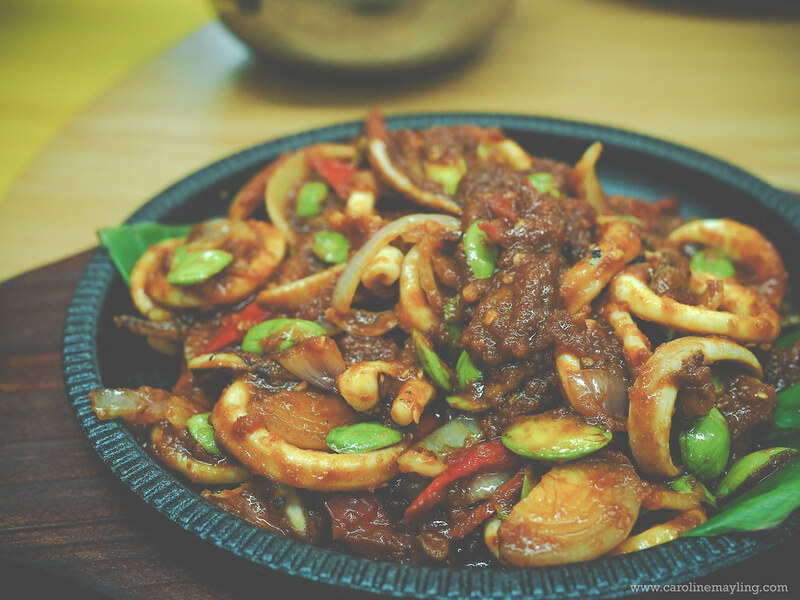 The sizzling sambal petai sotong were too spicy for me to enjoy it, whilst the rest happily enjoying this dish! To be frank, I've never eaten this dish before. 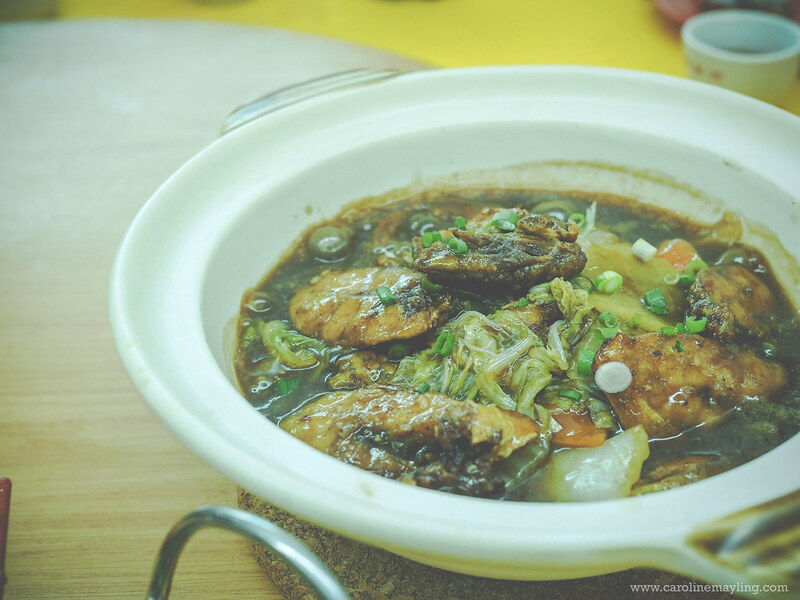 The Hakka Style Braised Fish cooked with a little bit of wine, dark soya sauce, bean paste and Chinese cabbage that made this dish taste wonderfully sweet without any MSG. 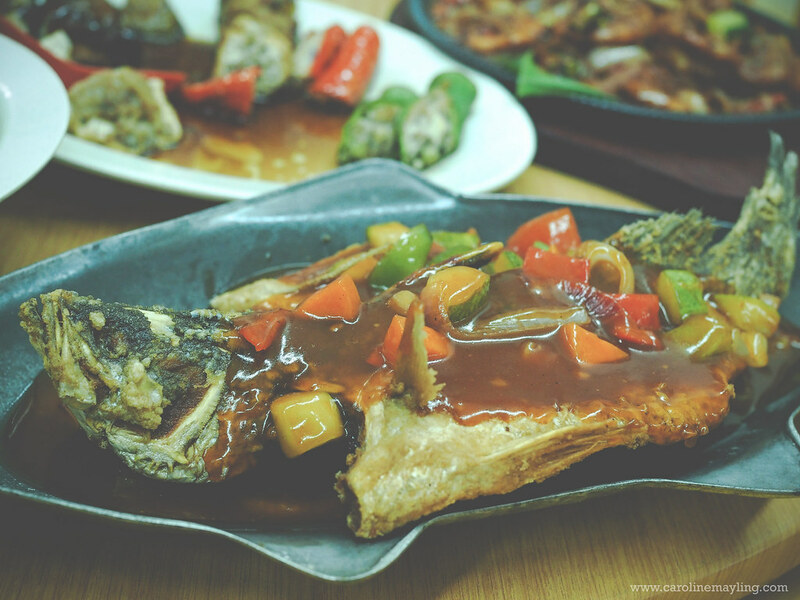 You can also choose your preferred fish upon ordering this dish. 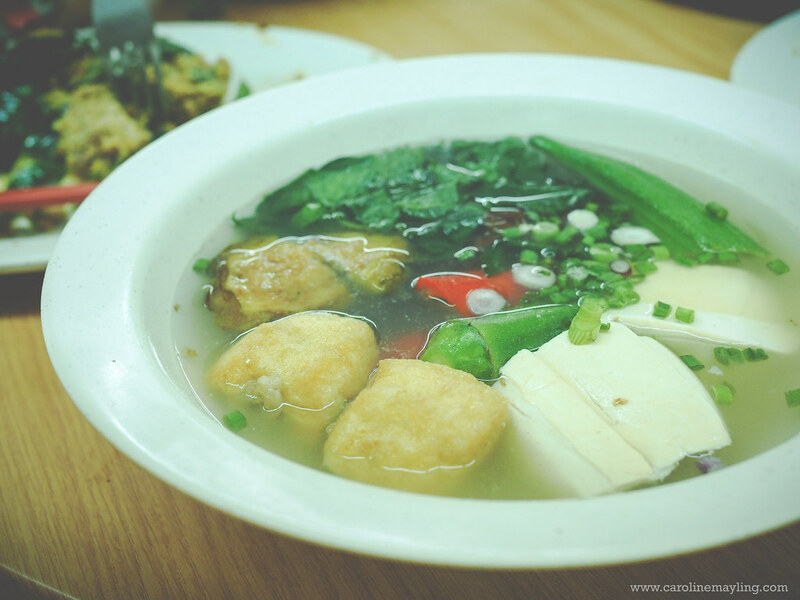 I love Yong Tau Foo! Again, all the fish paste are made from scratch too! You can opt to enjoy it either deep fried or soup version. I personally prefer the soup version and did I mention how flavorful the soup is?! Both Assam Prawns and Sweet & Sour Ma Yaw Fish were good. Though, I enjoyed the tantalizing Assam Prawns more. 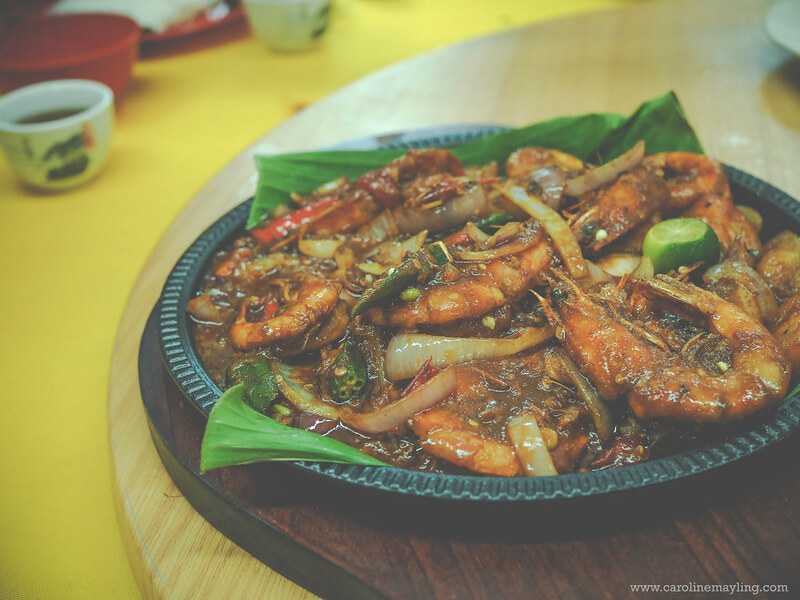 The fresh succulent prawns with assam taste, so good! There's nothing really much to shout about the Sweet & Sour fish as it tastes just normal to me. 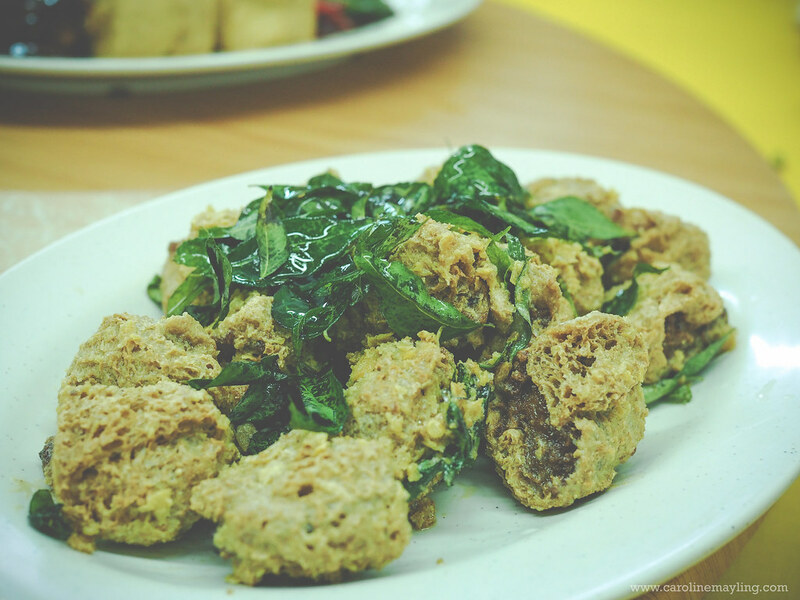 Here's a must-order dish - Salted Egg Taupok - super crispy and each taupok were well-coated with salted egg yolks! All of us loved this very much that we ordered another serving of this! 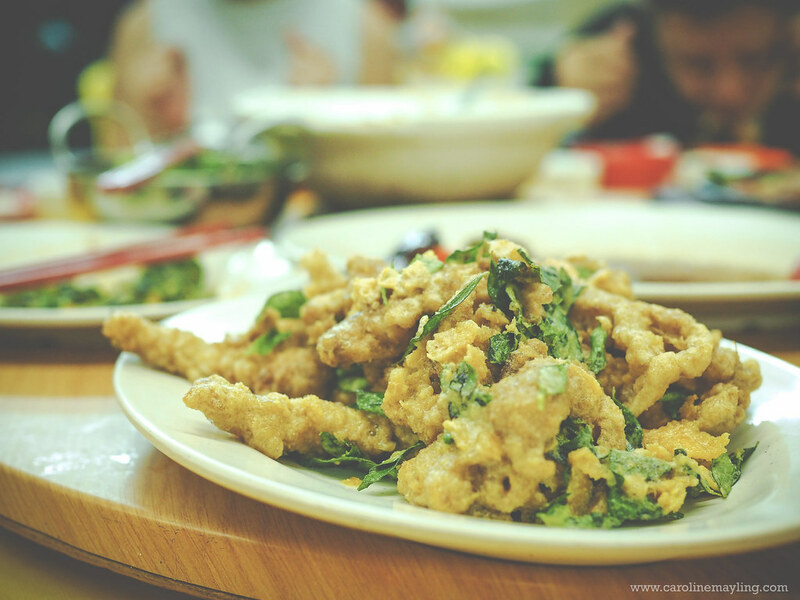 Another similar dish, the Salted Egg Mantis Prawn here is definitely meatier and juicier as they use the different type of mantis prawns. To compare with the taupok, this is also moister with less crispiness. 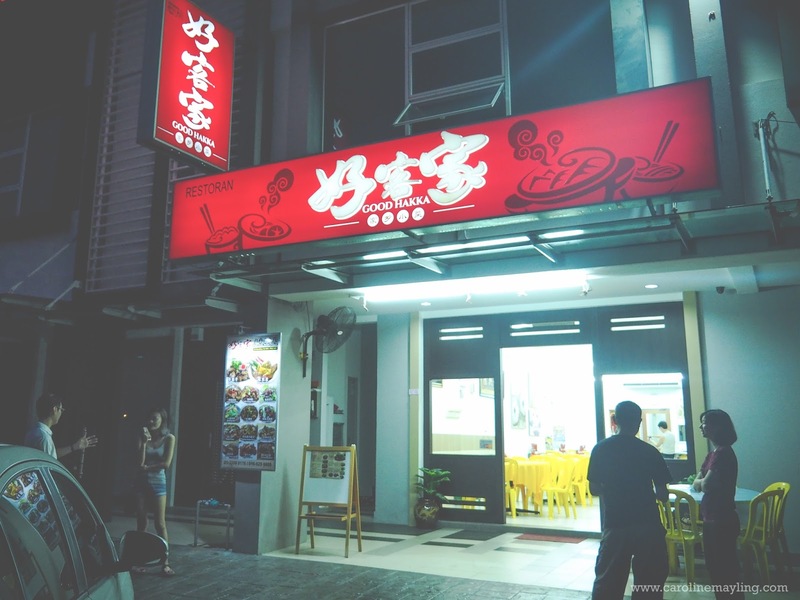 Overall, it was really a great dinner session and I can't wait to go back for some of my favorite Hakka dishes here! I am Hakka. Hehe! I can bring my family to this restaurant to try out! 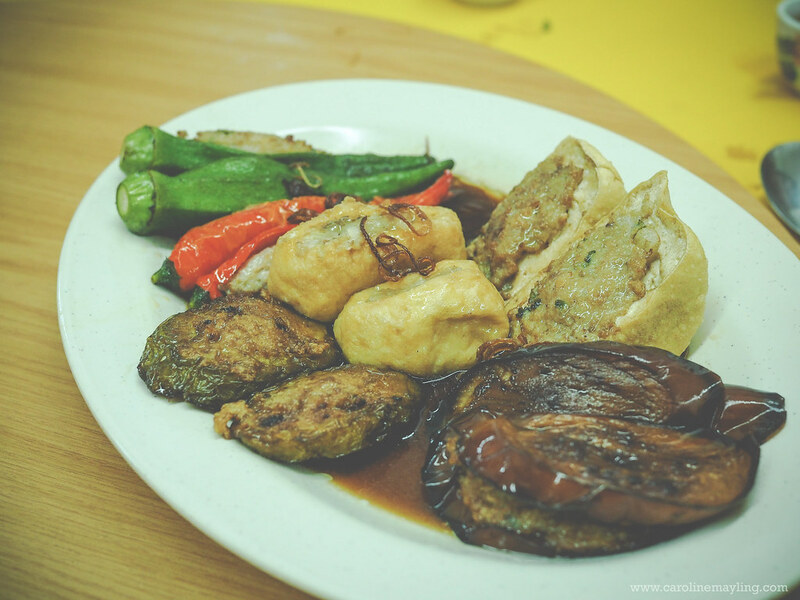 It is hard to get that 'home-cooked' dishes like the ones that our parents cooked right? Good for you that you have managed to find one - so now tak rindu sangat la your parents' cook (although it will never be the same right). The Yam Abacus is a must try. My family and I like Hakka food so we might be going there one of the weekends. Red wine chicken? I take your word for it being good. And prices aren't bad lah. the food look great. too bad i cant eat. yummy ! i was there too, totally loved the food. the yam abacus, totally new to me.. yum. The best hakka food I'd ever tried is cooked by my friend's mum.. This one sure looks nice, too! yum looks so nice! yam abacus is my favourite!